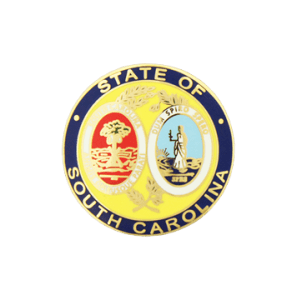 The South Carolina Insurance Data Security Act (2017 S.C. Act No. 171, R. 184, H. 4655) was passed in May, 2018. The purpose of this legislation is to ensure that licensees of the South Carolina Department of Insurance have a strong and aggressive cybersecurity program to protect the personal data of consumers in South Carolina and elsewhere. The Act applies to any person licensed, authorized to operate, or registered, or required to be licensed, authorized, or registered pursuant to the insurance laws of South Carolina. It expressly excludes (i) out of state purchasing groups or risk retention groups; and (ii) out of state licensees who are only acting as an assuming reinsurer. Exceptions: Licensees or independent contractors meeting one or both of the conditions below will be exempt. The Act is effective January 1, 2019. Upon this date, licensees must comply with the reporting requirements regarding a cybersecurity event. Licensees have until July 1, 2019 to implement the requirements of the Act if performing the work in-house. If outsourcing the work to a third-party, licensees have until July 1, 2020 to implement the requirements. A licensee who violates a provision of the South Carolina Insurance Data Security Act is subject to one or more of following penalties per South Carolina Law Title 38, Chapter 2, Section 10.